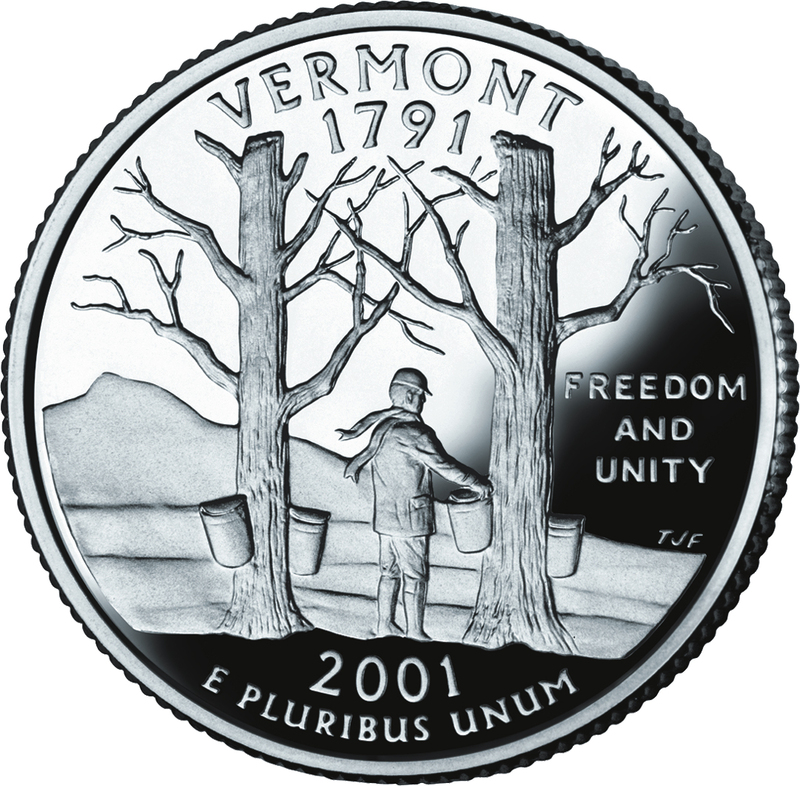 the U.S. Mint's bicentennial commemorative quarter for Vermont features Camel's Hump Mountain, sugar maple trees (state tree) with sap buckets (maple is Vermont's official state flavor), and the state motto: Freedom and Unity. 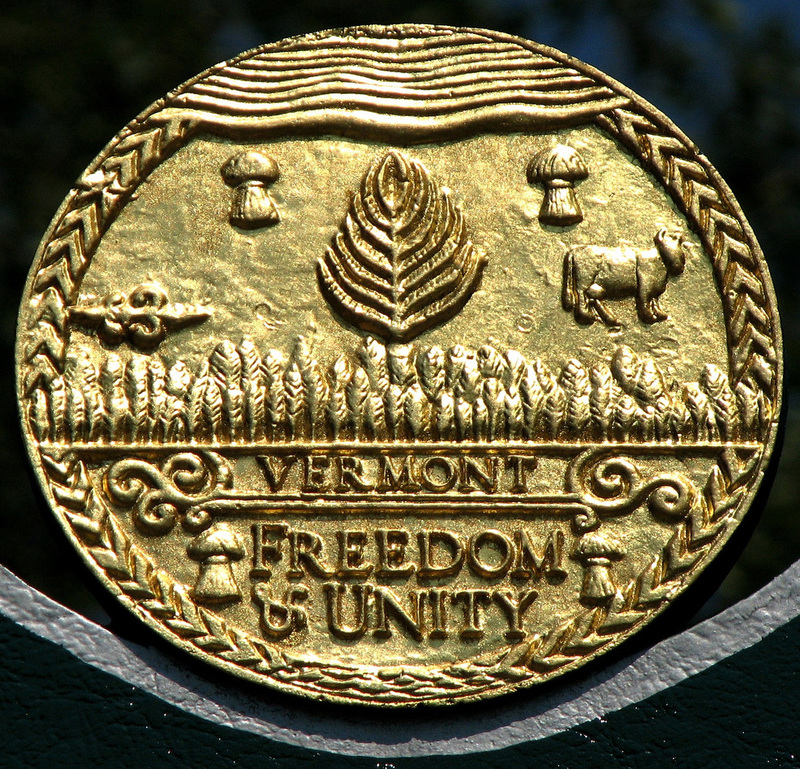 Vermont became the 14th state in 1791. Public domain image on Wikipedia. Vermont quarter; [file:field-file-main-description] Photo by [file:field-file-photographer]/[file:field-file-source] ([file:field-file-license]). 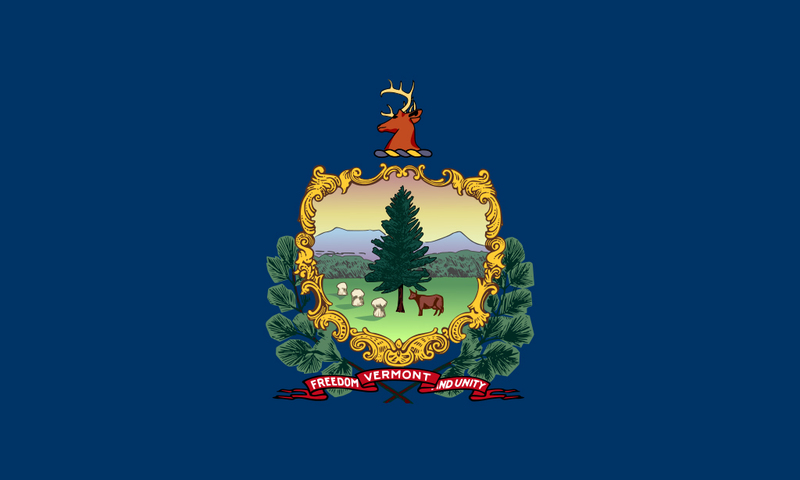 In 2015, Vermont also adopted a state Latin motto due to the efforts of Latin student Angela Kubicke: "Stella quarta decima fulgeat,"which means "May the 14th star shine bright" (Vermont was the 14th state to join the union). 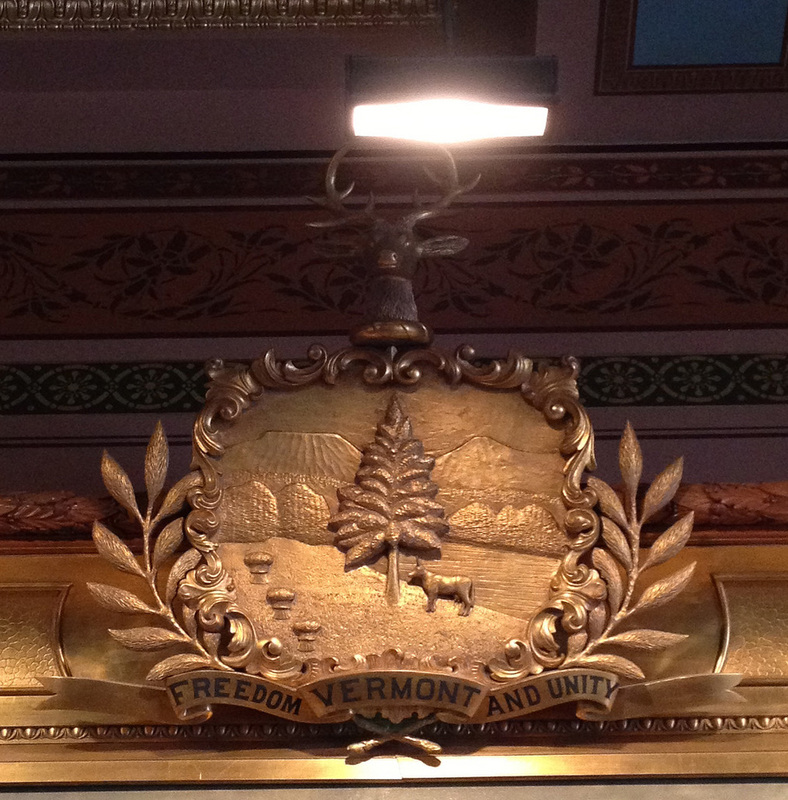 Vermont coat of arms; Vermont State House, Montpelier, Vermont. Photo by Marc Tomik/Flickr (noncommercial use permitted with attribution/share alike). Vermont state flag; coat of arms on a field of blue. Photo by Denelson83/Wikipedia (public domain image).